Fascia isn’t generally talked about until there is a problem. Generally, we just don’t know that much about it. Which is a shame given how important it is. Healthy fascia is smooth and elastic with the ability to stretch in all directions and maintain a smooth frictionless surface that allows neighbouring structures to glide over each other. Fascia ‘holds’ us together and helps to give shape to our body. It is a tough, three-dimensional flexible web of connective tissue spreading throughout the body from head to foot, without interruption. The fascial system is the largest system in the body and touches every other forming a communication network. It is a mechanosensitive feedback system. Through changes in movement and posture signals are sent to remodel tissue. This has profound effects, as you can imagine changing the structural alignment in the body whether at the level of how a blood vessel is flowing or how your posture is aligned is going to have a profound effect. Supporting healthy fascia involves good nutrition with adequate protein, essential fatty acids and lots and lots of water. Made of collagen, fascia is formed from proteins in the body. If you are deficient in protein then there won’t be enough available to form new collagen and repair damaged or old worn-out fascia. Fascia affects the whole body, not just one area. Because it is a contiguous structure, no part of the fascia system can be treated in isolation. Focusing on only the point of pain ignores the underlying cause of the pain, namely the constriction of the fascia in another area. 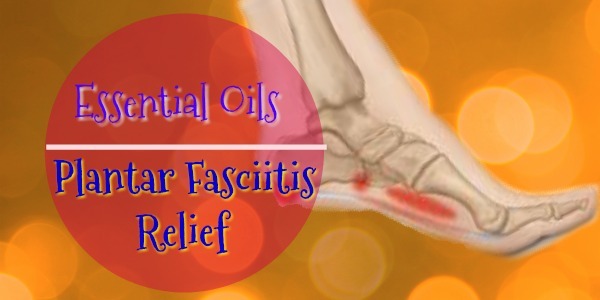 Fasciitis is an extremely painful condition that refers to inflammation of the fascia. It feels like burning knives stabbing into the tissue. Fasciitis can be totally debilitating. Plantar Fasciitis occurs in the bottom of the foot. For those that have had it or are currently suffering from it, you know it’s excruciating. The inflamed fascia on the sole of the foot shortens causing pain that can extend from the heel to the toes. It’s characterized by intense pain especially first thing in the morning. Through the course of the day, the pain can lessen as the inflamed fascia stretches out but later in the day when your feet are tired the pain returns. Recovery times for fasciitis are generally measured in months. The first question you might ask yourself is why is that fascia in the sole of your foot inflamed. It’s a signal from the body to listen up. Tightness of skeletal muscles causes the fascia to become strained, constricted and bound down. This constriction compromises circulation. Compromised circulation results in a build-up of toxic metabolites, remember whenever work is being done by a cell it produces waste and this waste needs to be removed otherwise it becomes toxic to the cell. With this constricted circulation and accumulation of waste products the muscle tissue becomes oversensitive and signals to distant tissues, producing pain and consequent loss of motion at remote locations. This action is an important point to consider when it comes to treating plantar fasciitis. Pain and loss of function are ways that the body signals that something is wrong and needs to be attended to. This cycle, if not interrupted can become chronic and lead to other problems. Plantar Fasciitis if not treated properly will result in bone spurs on the heel. Plantar Fasciitis is what I was suffering from when I first discovered just how important fascia is. In my case, it was a sudden onset. I believe the root cause in my case is a combination of being overweight (25 pounds), pelvic misalignment, stress, chronic dehydration and a virus. I’m rather thrilled at getting plantar fasciitis in a strange professional way. After researching and experimenting on myself it was under control in a period of 10 days rather than the usual months of misery. The approach I use is multi-focal. Feel encouraged to adopt this protocol to your own fasciitis. The recovery protocol can be divided into three phases; the acute stage, the convalescent stage and the prevention stage. When the pain is debilitating the focus is on inflammation and pain control. Essential oils are used to manage the pain and inflammation. Essential oils work to repair the body as a whole rather than treating only symptoms. Another huge plus in working with essential oils is that they don’t carry the side effects of pharmaceuticals and they are comparatively inexpensive. I created a blend of essential oils with strong anti-inflammatory, analgesic and anti-viral properties. I only use doTerra essential oils because they are an effective therapeutic grade of essential oil. Do not bother with essential oils from your local store; they’re not likely to work effectively. Massage in the oils using reflexology to further reduce pain and stretch out the fascia. Apply the blend frequently throughout the day: every time the pain begins to get worse. Apply another application of oil before going to sleep in the evening, pay attention to the entire length of the fascia from hip to toes. I also used homoeopathic arnica to help with the inflammation. DoTerra essential oils act immediately on the site of pain and they also cross the blood-brain barrier affecting the limbic system, our emotional responses. Relaxation at the emotional level allows us to relax our muscles as well. To aid in detoxifying I also had regular detoxifying footbaths. (Remember the signal for the pain in the first place was the accumulation of toxins.) During this acute phase, I avoided sugars, alcohol, and simple carbohydrates reasoning that these are nutrients for viruses and other unwanted pathogens, and toxins. During the acute phase, walking wasn’t much of an option, so I listened to my body’s pain messages and rested with my foot elevated. In my case, this was a three-day period. During this time I concentrated on reducing the inflammation and pain in the plantar fascia. It is also crucial to control secondary pain due to tensing up and favouring the affected area. Relaxing Epsom salt baths, reflexology and massage are all going to help with relaxing, detoxifying and stretching out the fascia. Gentle stretching to help with lengthening the fascia is also necessary. Do stretches first thing in the morning and several times throughout the day, always be aware of not inducing pain. Pain is the body’s warning signal, we all know the difference between ‘good pain’ and bad pain’. Stretch with ‘good pain’ as your guide. Sleep is another important component of healing. The parasympathetic response is when the body is in the rest, repair and relax mode. Avoid stress, even mental stress during the acute phase. Sleep is your healing friend. In my case, I knew that weight was a contributing factor. So weight loss was through nutrition and exercise was a big focus. Exercise is geared towards freeing up the fascia and lengthening it. The goal is to restore resilience and flexibility. Tai Chi, yoga and stretching are your best guides. Avoid impact exercise until recovery is complete. Find a good registered massage therapist who is familiar with doing fascial release work. As stated earlier the fascia is a continuous connective tissue through the entire body. Treatment of plantar fasciitis includes the entire leg and hip area for fascia release. Nutrition is geared to helping the body manufacture new fascia, which requires high quality protein, lots of water and essential fatty acids. Detoxification of the accumulation of metabolites with detox foot-baths, Epsom-salt baths and eating whole food. Essential Oils as required for pain and repair of tissues. The prevention stage will become a part of your lifestyle. The focus is on identifying contributing factors and correcting them. Some combination of factors were present that led to being susceptible to fasciitis, in my case it was weight, stress, lack of exercise, and a viral component. By listening to my body I know where changes need to be made if I want to avoid a recurrence of this immobilizing pain. This is perhaps the most challenging of the stages because it involves changing habits. But it is possible. Download my free eBook to help you develop the habits that lead to a healthy vital life.